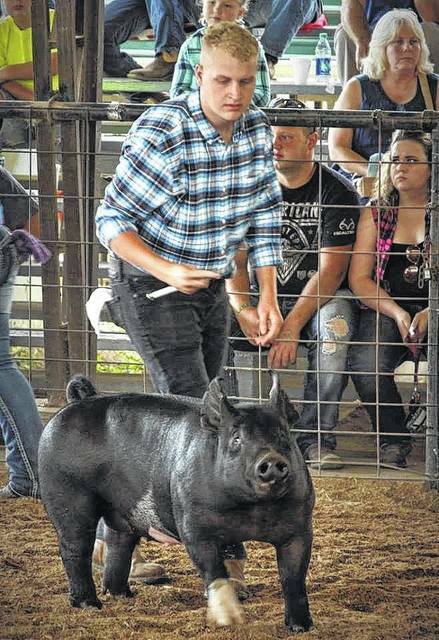 Derek Henry, a Gallia Academy FFA member, shows a pig at the showing at the Gallia Junior Fair. Truck pulls have long been a fan favorite of the Gallia Junior Fair. 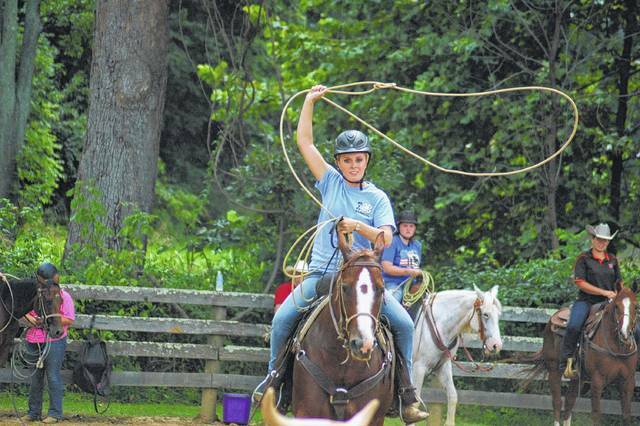 Horse shows have a variety of riding activities. Some include roping. 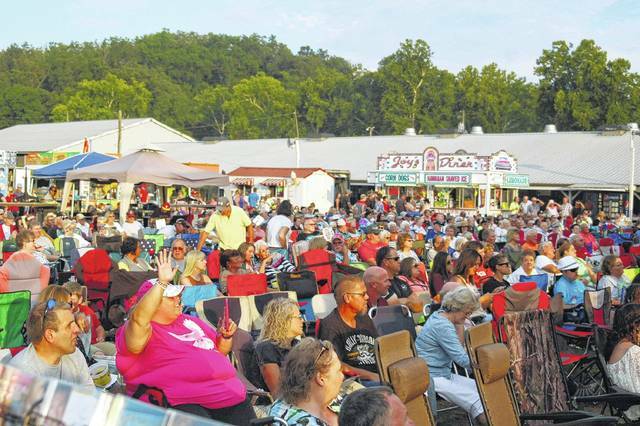 Thousands flock to the fair during the summer months for entertainment lineups and the fair queen pageant. 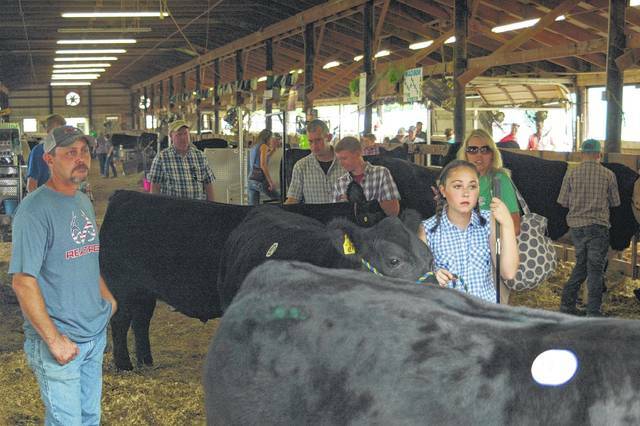 Cattle dominate the show ring with their size in comparison to most livestock. 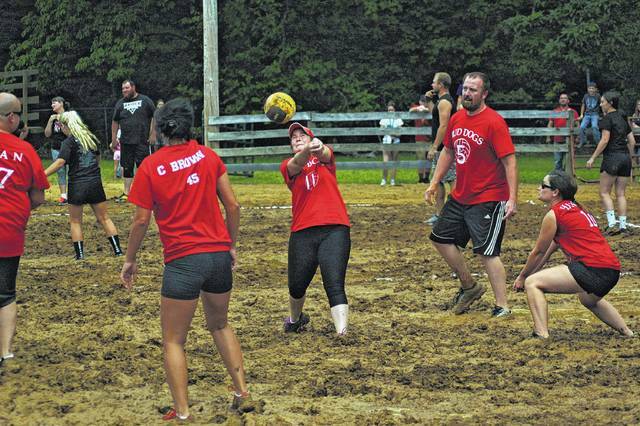 Mud volleyball brings out the dirty competitor in everyone. 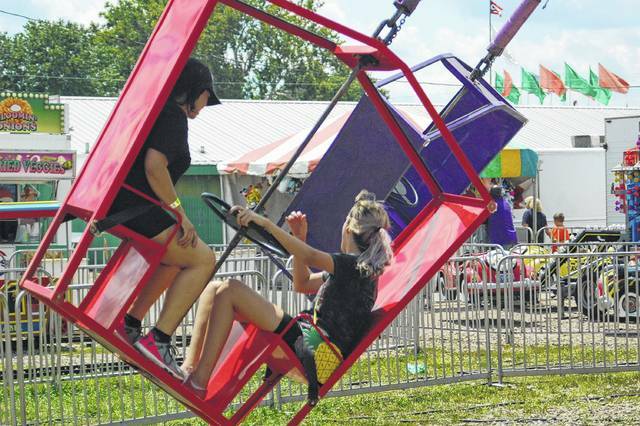 GALLIPOLIS — The Gallia Junior Fair Relocation Committee is gearing up for another event Feb. 23 in hopes of getting the fair one step closer to its new home located just south of the Gallia Junior Fairgrounds. The fair has long sought to move locations due to flooding concerns, say fair board members. A Not-So-Newlyweds Game Night will be held at Colony Club, 6 p.m. on Feb. 23 for the relocation benefit. From 6 to 7 p.m., couples will register and from 6:30 to 7 p.m. music will be played by Jacob Gilmore. From 7:15 to 7:45 p.m., the first round of the couples challenge will be held and from 7:45 to 8 p.m., more music will be played. Around 8 to 8:30 p.m., the second round of the challenge will be held with music again held at 8:30 p.m. The third challenge will finish at 8:45 to 9 p.m. and music will continue until the evening finishes. A silent auction and desserts will be available and couples participating in the challenge must be married, either new or old. Couples names will be entered into a drawing and nine names will be drawn out for the challenge with three couples per round. Couples will take the stage and will predict their final score by writing it on a board to be utilized as a tiebreaker. Couples will have a seat on stools while sitting back-to-back and have a dry erase board in hand. Questions will be asked to the ladies first and correct answers earn points with eight questions each round, four to each partner. The Fair Relocation Committee is made up of Danella Newberry, Abby VanSickle, Jennifer Bonzo, Amy Johnson, Ronnie and Sheryl Slone, Mary Deel and Finger Thompson. Bonzo, Johnson and Thompson serve as the committee’s chair persons. Individuals wishing to help can attend the committee’s meetings the third Thursday of the month at 6:30 p.m. at the Gallia OSU Extension Office. Feb. 21 is slated for the next meeting. Newberry emphasized the importance of being able to continue carrying on the farming legacy of the fair by teaching youth about the values of hard work while also keeping them safe from the dangers of flooding. Current plans for the new fair relocation include the construction of a climate control building in hopes of being utilized year round for a variety of community functions, including conventions or weddings.